Since 2002, more than 40 million criminal records checks have been carried out at a cost of nearly two billion pounds, yet there has never been any significant research showing the effectiveness of mass vetting in child protection terms. 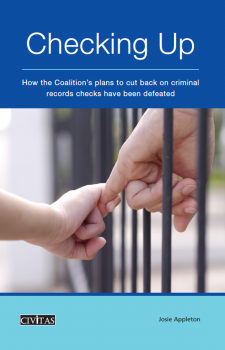 In June 2010, the Coalition government promised to ‘scale back’ criminal records checks to ‘common-sense proportions’, predicting that its reforms would lead to a halving of checks from around four million to 1.7 million. This has not happened. In 2013-14, there were 3,948,793 criminal records checks at a cost of £211.6 million. Far from being scaled back, in certain ways the vetting system appears to have become more complicated, expansive and expensive.